Rather than retire this post, I would like to keep it as as an example of the fast pace and ever-changing world of the Internet. Several of the websites have changed or are no longer active, in addition to the many broken links, hence the choice of not updating the inactive sources. 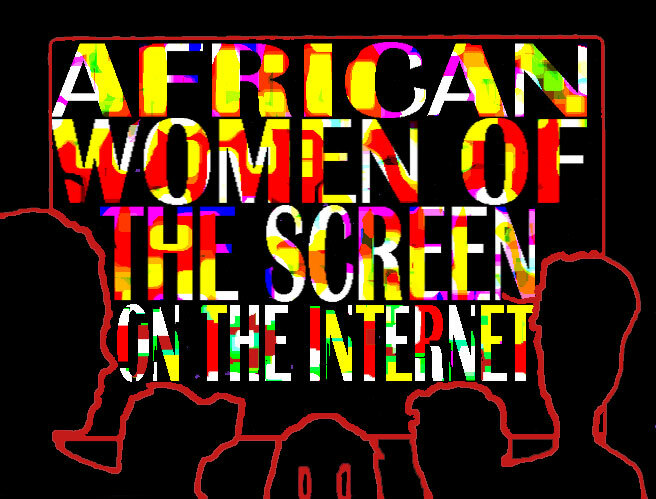 The Internet has become a useful tool for African women in cinema to showcase their biographies and work. Moreover, media streaming, videosharing sites such as Youtube and Google Video, and video hosting service websites such as Dailymotion, provide a useful means to screen entire films, trailers and excerpts. Below are some relevant links with comments. Dami Akinnusi (Nigeria). Filmmaker based in the United Kingdom. Mahen Bonetti (Sierra Leone). Founder and Executive Director of the New York African Film Festival. Isabelle Boni-Claverie (Cote d'Ivoire). Filmmaker and writer. Assia Djebar (Algeria). Writer and filmmaker, is known most famously for her literary works. She is the first woman of Africa, the Magreb, and Arab writer to become one of the "immortels" of l’Académie Française. Cheryl Dunye (Liberia). Lives and works in the United States and is identified as an African-American lesbian filmmaker. Nadia El Fani. French-born of Tunisian descent, lives and works in Paris. Aminatta Forna. United Kingdom of Sierra Leonean origin is a writer and television journalist. Lucy Gebre-Egziabher. Born in Egypt and raised in Ethiopia, a filmmaker based in the Washington DC area. Izza Génini (Morocco). Pioneer filmmaker of the documentary. Fatou Kandé-Senghor (Senegal). founded the Waru Studio as a dialogue for filmmakers of her generation to explore new technologies as an alternative to the dying film industry and as a voice for Africa. She lives and works in Dakar. Rahmatou Keita (Niger) Produces her films under Sonrhay Empire Productions, also the name of her website. Salem Mekuria (Ethiopia). Filmmaker, artist and professor based in the United States. Soraya Mire (Somalia) Activist, writer, director, and producer based in the United States. Fanta Nacro (Burkina Faso). Cineaste engagée. Naky Sy Savane (Cote d’Ivoire) Actor and founder of Afriki Djigui Theatre, an association whose objective is to promote African theatre, cinema art and literature. Hanny Tchelley-Etibou (Cote d'Ivoire). Actor and founder of (FICA) International Festival of Short Films in Abidjan. Felicité Wouassi (Cameroon). French-based actor. Women of the Sun. 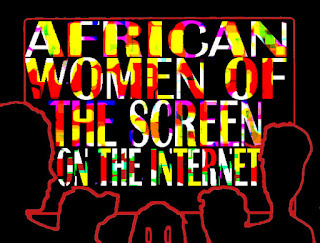 Based in South Africa, the organization has as its objective, to advance the interest of African women in film and television. Al’leessi...An African Actress (2004) by Rahmatou Keita (Niger). Angano, Angano (1989) by Marie Clémence (Madagascar/France) et César Paes. Apostle Kasali (1990) by Amaka Audrey Igwe (Nigeria). A Way of Life (2004) by Amma Asante UK-based from Ghana (2004) - Trailer. Bleach My Skin White (2000) by Dami Akinnusi (Nigeria). (See darkling.tv film gallery). From a Whisper (2008) by Wanuri Kahiu (Kenya). Izza Genini (Morocco) - Trailer of films by Izza Genini on her website, Marocorama. Fatou Kané-Senghor (Senegal) – Excerpts of films by Fatou Kané-Senghor on her website, Warustudio. The Koran and the Kalashnikov (2000) by Jihan El-Tahri (France/ Egypt). La Nuit de la verité – The Night of Truth (2004). Fanta Nacro (Burkina Faso). Interview with Fanta Nacro about the film. Le Génie d'Abou (1997) by Isabelle Boni-Claverie (Cote d’Ivoire). Les Enfants du Blanc (2000). Sarah Bouyain (France-Burkina Faso). Salem Mekuria (Ethiopia). Excerpts of films by Salem Mekuria on her website, Salemmekuria.com. Mere-bi (2008). Annette Mbaye d’Erneville. Documentary film about veteran journalist, film organizer and communication specialist. She is also a pioneer feminist having founded the Maison de la Femme Henriette Bathily (The Women’s House) on Goree Island. The film is in Wolof and French with French subtitles. The film Mere-bi is by her son, filmmaker Ousmane William Mbaye. Pour la nuit (2004) by Isabelle Boni-Claverie (Cote d’Ivoire). Sorcière, la vie (2004) by Monique Mbeka Phoba (Democratic Republic of Congo).